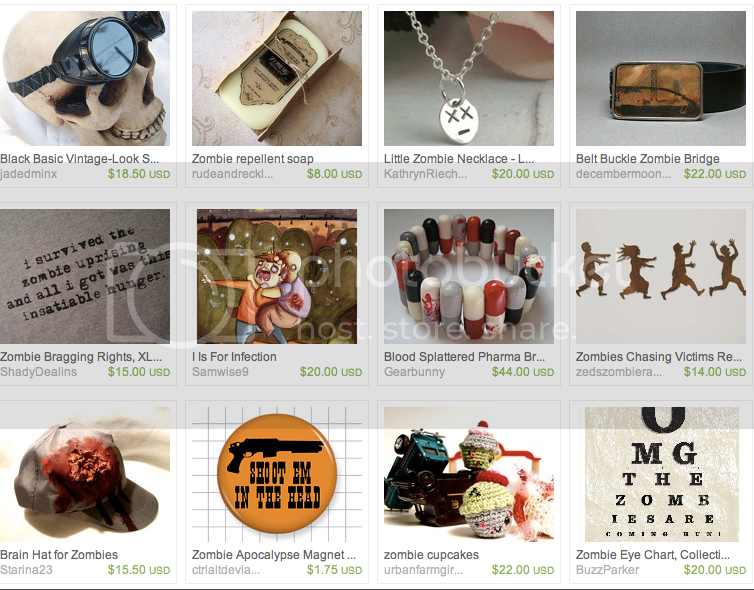 With Halloween in mind, two creative Etsians have cooked up a couple of fabulous zombie-themed treasuries. 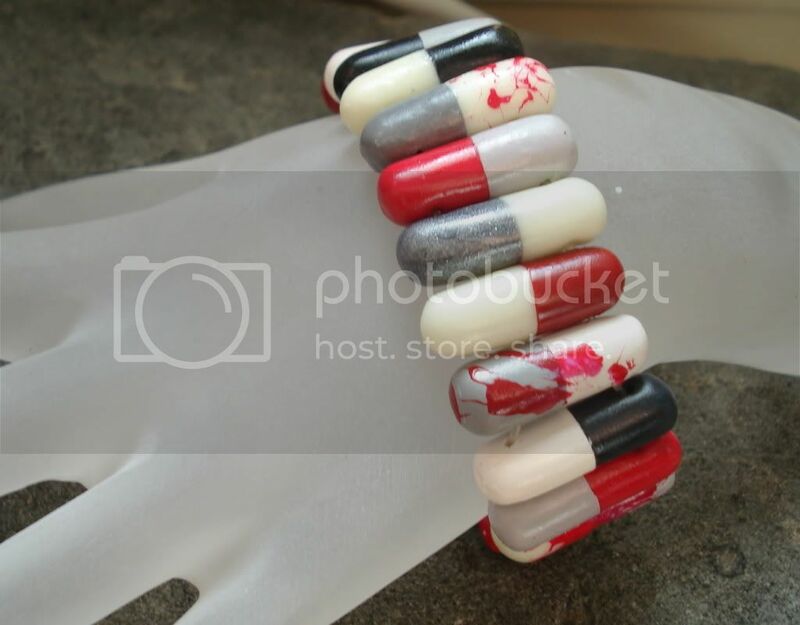 Both were kind enough to include my Blood-Splattered Pharma Bracelet. Do you have what it takes to survive the zombie apocalypse? Find out by viewing these treasuries! 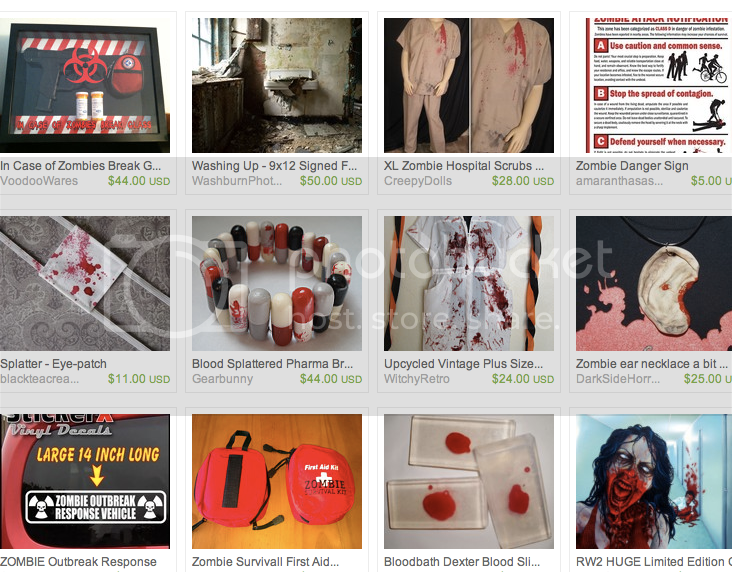 Lots of hilarious items here – the zombie repellent soap and eye chart crack me up. Everyday is a lil spooky when it comes to Gearbunny, but Halloween is an extra excuse to kick out the creepiness. 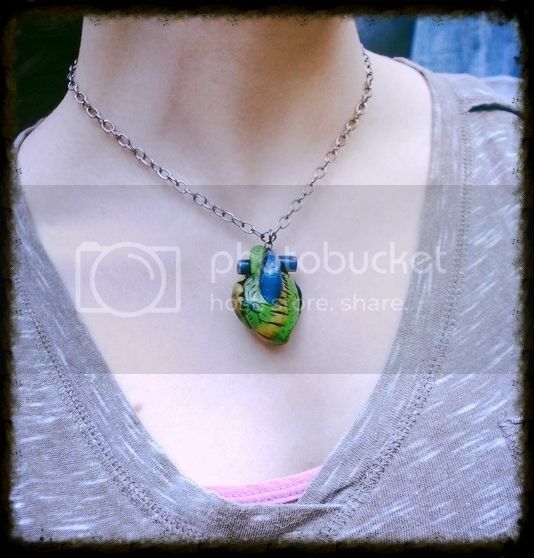 Here are five Halloween goodies I’ve been cooking up lately.